- Take an interesting photo (funny, crazy, cute, original...) during the sailing on Orvas Yachting boat (note: our logo must be seen on photo!). - Send us photo on email orvas-yachting@orvas.hr no later than one week after your sailing holidays, and if the photo is in accordance with the rules of the contest we will publish it on our Facebook page. - We will regularly publish photos you send us on our Facebook page. - The winner of the month will be the one who sent a photo that got most likes in that month. - Names of the monthly winners will be published on 02.07., 04.08., 02.09., 02.10., 04.11. 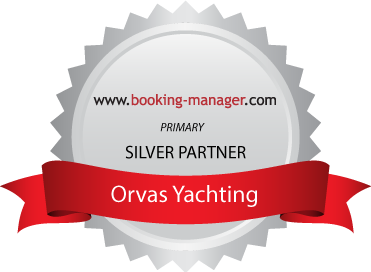 - Orvas Yachting jury will choose the overall winner between one of the 5 monthly winners. - On 11.11.2014. we will publish the name of the overall winner. - Gifts for the monthly winners: Lord Nelson blue beach towel, 150x90 cm. - Gift for the overall winner: Free one week rental of the sailing boat with 3 cabins in the season 2015 in Split, Croatia. - You can send unlimited number of photos, and we will decide which of them will be published. - We will not publish photos that we consider inappropriate. - We have the right to use photos you sent us in the future (for our web page, Facebook page, brochures…). - All contest participants renounce their right to appeal in relation to the number of likes of their photos or photos of other participants. - Gifts can't be exchanged for cash or transferred to another person. - All participants accept the rules of the contest organizers. - For any questions about the contest, please contact us at orvas-yachting@orvas.hr. - Contest is in no way associated with Facebook. Facebook is released from any responsibility related to the contest.